Two new studies have found an increased risk of heart problems, such as heart attack and chest pain, in women with diabetes compared to men. In one of the studies—a review that included almost 11 million people— the risk was about 40% higher. However, neither study was designed to prove a cause-and-effect relationship. 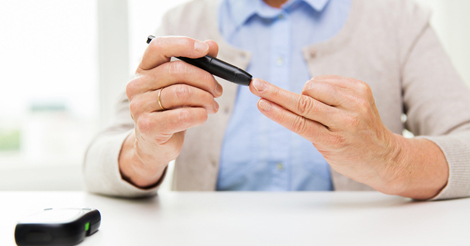 Diabetes is a known risk factor for cardiac issues. But, it hasn’t been clear if the heart risk is greater for women or men, the Chinese researchers said. Dong and colleagues reviewed 19 previously conducted studies done between 1966 and 2014. Combined, the studies included nearly 11 million people from North America, Europe and Asia. Among these people, more than 106,000 fatal or non-fatal heart attacks or chest pain (angina) events occurred, the study said. The researchers found that women with diabetes had a 38% greater risk of heart attack or angina than men with diabetes did. The second study included data from hospitals across the Tuscan region of Italy. The information was collected between 2005 and 2012. The study included more than three million people, of which 47% were male, the researchers said. The Italian researchers, led by Dr. Giuseppe Seghieri of the Regional Health Agency in Florence, found that women with diabetes had a 34% greater risk of heart attack than men with diabetes. And, women with diabetes had a higher risk of heart attack than men regardless of age, the study found.